Sometimes it’s not necessary to get on a plane and travel a great distance in order to have a fun and unique travel experience. People are often surprised at the many attractions located around them, which allow you to get a richer sense of your country’s culture and history. The Ironbridge Gorge is a perfect example of a local attraction that is filled with all kinds of adventure and experiences to explore. 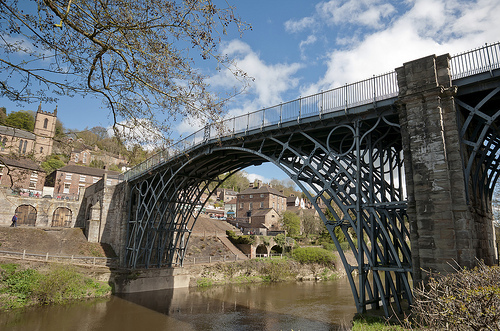 What is the Ironbridge Gorge? The Ironbridge Gorge is a World Heritage Site and is located along the River Severn in Shropshire, England. The Gorge itself was created thanks to a glacial overflow from Lake Lapworth during the earth’s last ice age. The rocks are rugged and deep and contained deposits of limestone, ore, coal, fireclay, and iron. This of course caused the area to be quite booming during the Industrial Revolution. The Ironbridge Gorge is special in that it is a bride made from iron, as the name would indicate, that crossed the river. What makes the bridge so special is the fact it was the first iron bridge like it in the entire world. For those with an interest in history, especially in engineering and architecture, the bridge acts as a wonderful attraction. The area that is covered under the World Heritage Site includes the Ironbridge, the countryside, grasslands, and woodlands around it. This totals around 260 hectares of land. What Is There to Do in Ironbridge? While the Ironbridge is the birthplace of industry and is well worth visiting, there are also plenty of other activities to keep you busy. Located throughout the valley are 10 different museums, all of which are award-winning. The museums are dedicated to the industrial revolution, making for a very interesting visit. Curious to see what life would have been like 100 years ago? No problem since there is an on-site re-created Victorian Town that reflects the sounds, sights, and smells of the past. The town is fun for all ages featuring places you can shop, eat, dress up, meet the animals and people, and immerse yourself in old Victorian ways. Blists Hill Victorian Town takes about two to four hours to explore. For a really unique and spooky experience be sure to check out the Tar Tunnel, which is the underground brick-lined tar tunnel. The town and its attractions are open seven days a week, which means you can come out and explore any time you like. While the attractions and the Ironbridge are usually what bring people to the Gorge, one would be remiss not to mention the shopping. The area is known for its tiles, which you can actually purchase, and even watch them being painted. Thanks to the wide variety of sights, museums, and attractions, Ironbridge Gorge is likely one of those spots you’ll want to visit more than once. Whether you’re coming for a short visit, or planning to spend the full day, there is always lots to see and do.